Truck Outfitters offers lift kits from top names such as BDS, Fabtech, Gound Pounder, Belltech, SkyJacker, and Rough Country. Call us today and let the experts help you find the perfect lift! 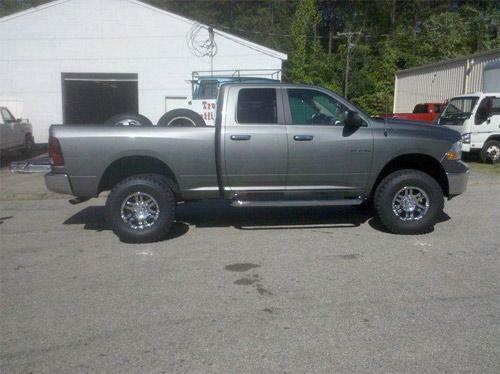 Dodge Ram after a lift and new wheels and tires.